Setting up a new business means being tech savvy. But when it comes to tax, startups often get it wrong. The End of Financial Year is in sight and business owners are at breakneck speed with their accountants to update their files and confirm the correct taxes have been paid. While it’s only natural that a business keeps its tax burden in check, new business owners tend to miss the mark. Whether they don’t compute tax regulations and online reportage, or listen to friends not quite on point, new business owners can absorb a few tax-related ‘alternative facts’. Putting aside one of the most blatant misnomers of all (the old, “I don’t need online accounting software“), here are 10 of the most common tax myths so you avoid wasting your (and your accountant’s) time on pointless moves to minimise your tax bill. Cofounder of accounting and bookkeeping firm 2 Peas, Pam Pitt, told The Pulse that business owners rush into a company structure with the dream of paying less income tax. “This isn’t necessarily true as a company pays a flat rate for company taxation – currently 27.5 percent for business with a turnover of less than $10 million per annum,” said Pitt. Pitt’s advice is for new businesses with low profits to weigh up being a sole trader if they can. Accounting business consultant Amanda Gascoigne said some new business owners leap into a specific business structure based on no expertise. Getting the right structure and guidance before your doors open is invaluable. Advisors tap into their industry experience when assessing the numbers and concepts presented by excited business newbies and they give crucial startup advice. “My philosophy when advising budding entrepreneurs has always been to start with realistic expectations around their growth, profitability, asset protection and tax minimisation, and to be a bit visionary” Gascoigne said. Depending on your type of business, the initial paperwork might be light on. This is when the ‘shoebox’ bookkeeping system comes into play. It might be tempting to manually prepare tax documents as required. But Gascoigne warns this approach leads to headaches later. “Make sure you’ve a great bookkeeping system to keep receipts,” she said. “If you don’t, you can’t record the expense and your accountant can’t claim it against your business income. That small accounting software investment upfront takes the sweat out for a business owner over time. Company vehicles are a can of worms for many business owners. Logbook management and branding are easily misunderstood. “To claim an expense for using a motor vehicle, you need to have kept a logbook over a continuous 12-week period and then keep your receipts for the entire year,” said Gascoigne. 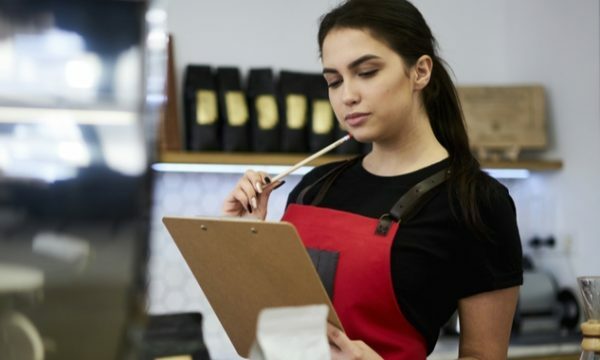 “Unsuspecting new business owners don’t keep a logbook or receipts, which makes it awfully hard for their accountants to make a claim. READ: What vehicle expenses can your business claim? Also from 2 Peas, Cofounder Pam Madytianos notes that hospitality business owners often think tips are excluded from their income. “The bad news is that tips do form part of your income and you have to report this in your accounting software,” Madytianos said. Tips may not be a staple of the hospitality industry as it is in the global scene, but they fall under income tax rules. And this dovetails with the next tax myth. Cash payments of any size to your business are to be reported as income. “Regardless of how you’re paid, all income must be reported. Failure to do so can result in repercussions for the business and owner in the form of an audit from the ATO and possible financial penalties,” Madytianos said. If someone’s a contractor they could still be classified as your employee, depending on how much work and what kind of work they’re doing. You might need to tag on a super payment on top of your payment to contractors without realising it. “If you pay an individual under a contract that is wholly or principally for that person’s labour, you have to pay super for them,” Madytianos said. Sean Devenish, Principal at Collins SBA, told The Pulse that many people go off-track with their ideas on property tax breaks and how they relate to their business. “People often belief that by developing and selling a property through their business, they’ll get access to the 50 per cent capital gains tax discount. This is only one example of how businesses and real estate link in with tax rules. Business owners would be well-advised to draw on their accountant’s knowhow to get the best property investment result. 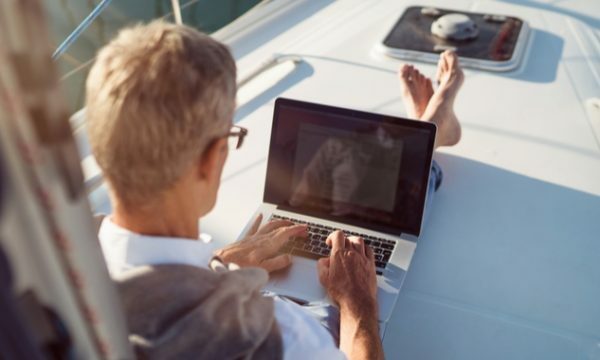 It might fly under the radar for how business starters can use their Self-Managed Super Fund (SMSF) to propel their business venture, Devenish said. To have this SMSF benefit, your business needs to have the relevant structure from the get-go. “There are opportunities with structuring your business that let you use funds in your SMSF to invest in commercial properties,” he said. The Oscar award goes to the key tax myth faced by bookkeepers and accountants that they’re not required from the outset. It’s a big lure for startups to think it makes sense to save money by seeking financial advice online and pearls of wisdom from buddies. This strategy can go headlong into frantic, last-minute calls to tax advisors. Paying for advice from a reputable professional will help you sleep better, knowing you’ve done the right thing by the ATO and by your business. They’re experts for a reason. The advice in this article is general in nature and may not be relevant for your specific situation or geographic location.